Encryptomatic LLC is the software developer for products distributed on this website, unless otherwise clearly stated. We take great precaution to ensure that the software you uninstall from this website is safe. All software packages built by us are signed with our "Codes Signing" certificate and this is clearly revealed when the software is run. We check our distribution packages against more than sixty antivirus programs. If you have any questions about the safety of our produts, or if you encounter a false-positive reading from an antivirus software, contact our support team or call +1-651-815-4902 x2. We offer assistance in installing our software through our help system, by email at supportline@encryptomatic dot com, or by telephone during our business hours: +1-651-851-6501 x2. You can also contact us through our Live Help system on this web site. Our products can be uninstalled in two simple ways. First, you can run the installation software package. If our software is already installed on your computer, the option will appear to uninstall the software. The second way is use the Add/Remove Programs service available from the Microsoft Windows Control Panel. Start Add/Remove Programs and select the software from the list. or call +1-651-815-4902 x1. You can also contact us through the Live Help system on this web page. 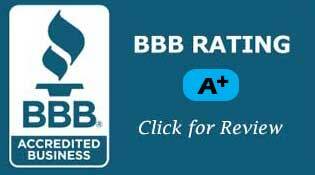 Encryptomatic LLC has been working with customers like you since 2005. We understand how important it is to convey trust. That is why we go to great lengths to help you understand who we are. Please visit our "About Us" page to learn our story, or just pick up the phone and give us a call. Trouble Downloading? Let us know.